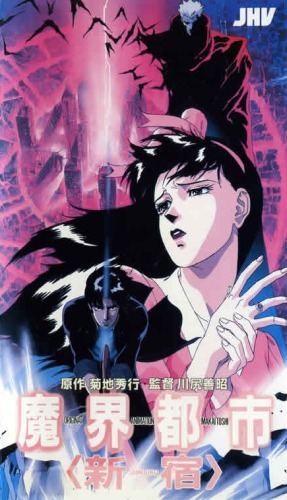 Watch Demon City Shinjuku full episodes online English Sub. Synopsis: Kyoya’s father was a great warrior, killed at the hands of the diabolical psychic, Rebi Ra, who has now opened a portal to hell in the city of Shinjuku. It falls to Kyoya to finish what his father started and battle his way through demons, while protecting a young woman from harm. The only problem is that he’s not exactly your classic hero type, and his powers are still latent.